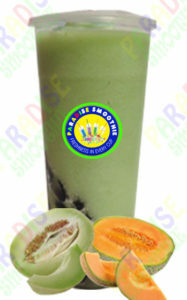 A Blend Of Fresh Avocado Fruit, Avocado Crush, Milk, Condense Milk, Carbohydrates and Crusted Ice. 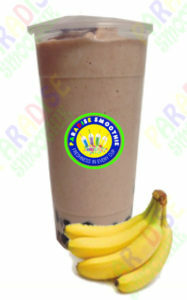 A Blend Of Fresh Banana Fruit, Banana Syrup, Condense Milk, Carbohydrates and Crusted Ice. 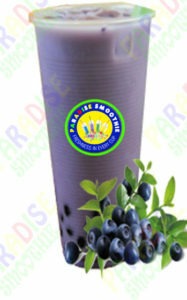 A Blend Of Fresh Blueberry Fruit, Blueberry Syrup, Carbohydrates and Crusted Ice. 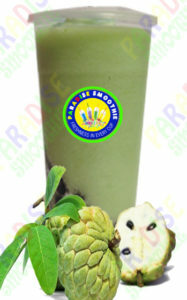 A Blend Of Fresh Cantoloupe Fruit, Cantoloupe Syrup, Carbohydrates and Crusted Ice. 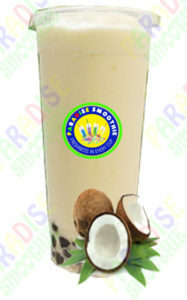 A Blend Of Fresh Coconut Fruit, Coconut Crush, Condense Milk, Carbohydrates and Crusted Ice. 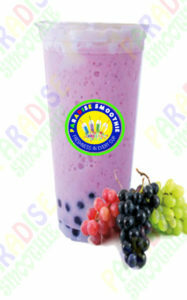 A Blend Of Fresh Grape Fruit, Grape Syrup, Carbohydrates and Crusted Ice. 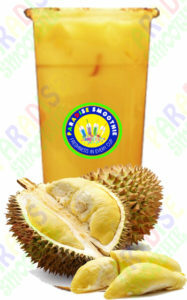 A Blend Of Fresh Durian Fruit, Durian Crush, Condense Milk, Carbohydrates and Crusted Ice. 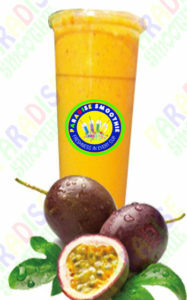 A Blend Of Fresh Guava Fruit, Guava Syrup, Carbohydrates and Crusted Ice. 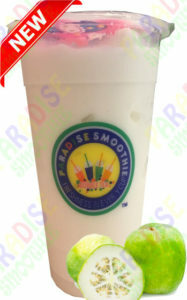 A Blend Of Fresh Honeydew Fruit, Honeydew Syrup, Carbohydrates and Crusted Ice. 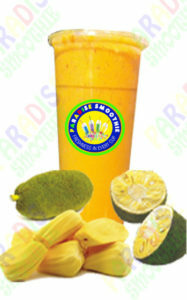 A Blend Of Fresh Jack Fruit, JackFruit Crush, Condense Milk, Carbohydrates and Crusted Ice. 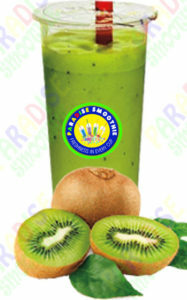 A Blend Of Fresh Kiwi Fruit, Kiwi Syrup, Carbohydrates and Crusted Ice. 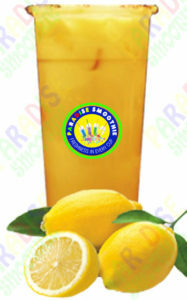 A Blend Of Fresh Lemon Fruit, Lemon Syrup, Carbohydrates and Crusted Ice. 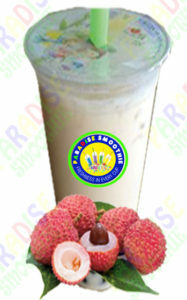 A Blend Of Fresh Lychee Fruit, Lychee Syrup, Carbohydrates and Crusted Ice. 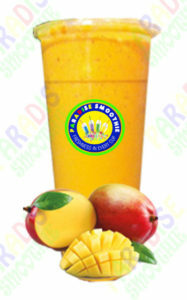 A Blend Of Fresh Mango Fruit, Mango Syrup, Carbohydrates and Crusted Ice. 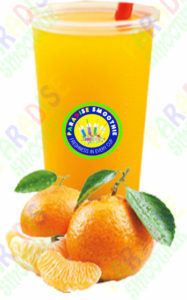 A Blend Of Fresh Orange Fruit, Orange Syrup, Carbohydrates and Crusted Ice. 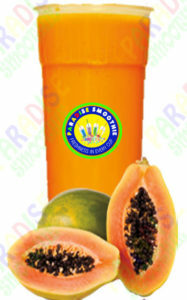 A Blend Of Fresh Papaya Fruit, Papaya Syrup, Carbohydrates and Crusted Ice. 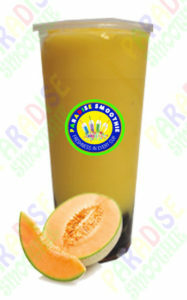 A Blend Of Fresh Passion Fruit, Passion Fruit Syrup, Carbohydrates and Crusted Ice. 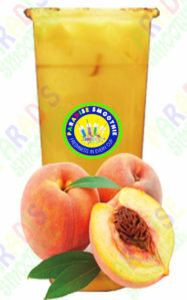 A Blend Of Fresh Peach Fruit, Peach Syrup, Carbohydrates and Crusted Ice. 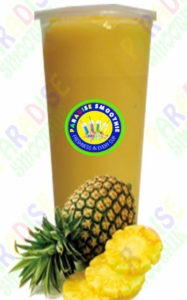 A Blend Of Fresh Pineapple Fruit, Pineapple Syrup, Carbohydrates and Crusted Ice. 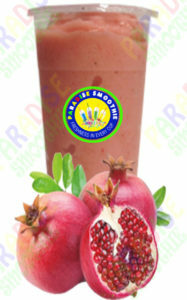 A Blend Of Fresh Pomegranate Fruit, Pomegranate Syrup, Carbohydrates and Crusted Ice. 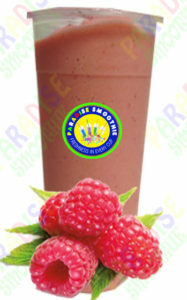 A Blend Of Fresh Raspberry Fruit, Raspberry Syrup, Carbohydrates and Crusted Ice. 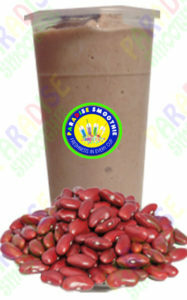 A Blend Of Fresh Cook Redbean, Redbean Paste, Redbean Crush, Milk, Condense Milk, Carbohydrates and Crusted Ice. 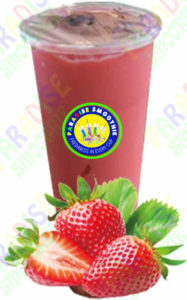 A Blend Of Fresh Strawberry Fruit, Strawberry Syrup, Carbohydrates and Crusted Ice. 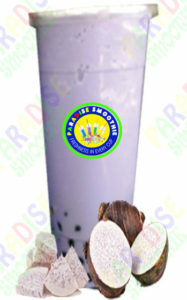 A Blend Of Fresh Taro Fruit, Taro Crush, Milk, Condense Milk, Carbohydrates and Crusted Ice. Very addictive drink that surprise your taste budzz. 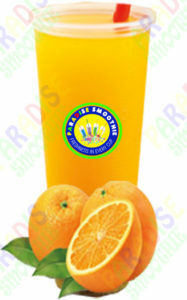 A Blend Of Fresh Tangerine Fruit, Tangerine Syrup, Carbohydrates and Crusted Ice. 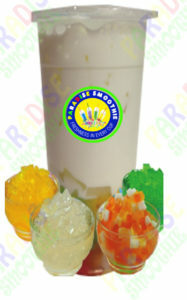 A Fresh Serve of Combination All Jelly Lover, Milk, Carbohydrates and over Ice. 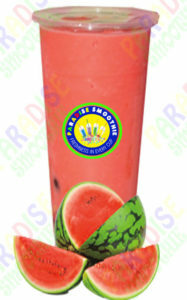 A Blend Of Fresh Watermelon Fruit, Watermelon Syrup, Carbohydrates and Crusted Ice. 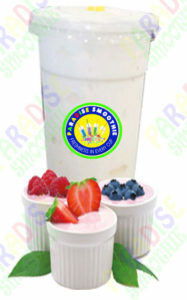 A Blend Of Yogurt Fruit Flavor, Yogurt Syrup, Carbohydrates and Crusted Ice. Very Tasty like Yogurt Style. 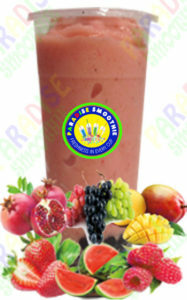 A Blend Of Fresh Combination of Three Fruits(RED-Strawberry, Raspberry, Watermelon, YELLOW-Mango, Pineapple, Banana, GREEN-Kiwi, Honeydew, Green Apple), Combine Three Fruits Syrup, Carbohydrates and Crusted Ice. 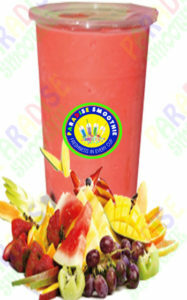 A Blend Of Fresh Combination of Six Fruits(Strawberry, Watermelon, Raspberry, Banana, Mango and Pineapple) Combination of Six Fruit Syrup, Carbohydrates and Crusted Ice. 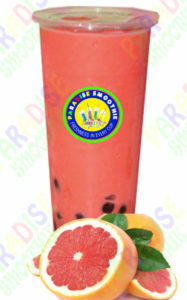 One of the best fruit lover drink. 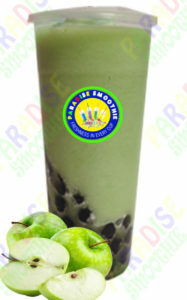 A Blend Of Fresh Green Apple Fruit, Apple Fruit Syrup, Carbohydrates and Crusted Ice. 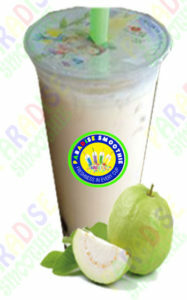 A Blend Of Fresh Sugar Apple Fruit, Sugar Apple Crush, Carbohydrates and Crusted Ice. Seasonal fruit only. A Blend Of Fresh GrapeFruit, GrapeFruit Syrup, Carbohydrates and Crusted Ice. 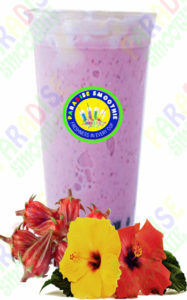 A Blend Of Fresh Hibiscus Flower, Hibiscus Syrup, Carbohydrates and Crusted Ice. 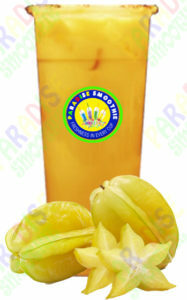 A Blend Of Fresh Star Fruit, StarFruit Syrup, Carbohydrates and Crusted Ice. Seasonal fruit only. A Blend Of Fresh Wintermelon, Wintermelon Syrup, Carbohydrates and Crusted Ice. A Blend Of Fresh Rose Flower, Rose Syrup, Carbohydrates and Crusted Ice.